Fresh Tomato Sauce Easy Preparation! Core, chop tomatoes. Thinly slice garlic. In medium frying pan over low heat, cook garlic in olive oil until it’s soft, about 5 minutes. Add remaining ingredients. Increase heat to medium-high. Cook until tomatoes start to bubble. Reduce heat to low, so the sauce gently simmers. Cook, uncovered, undisturbed, until oil separates from sauce, and most liquid has evaporated, about 30 minutes. This would make a PERFECT vegetarian meal, over zucchini noodles. 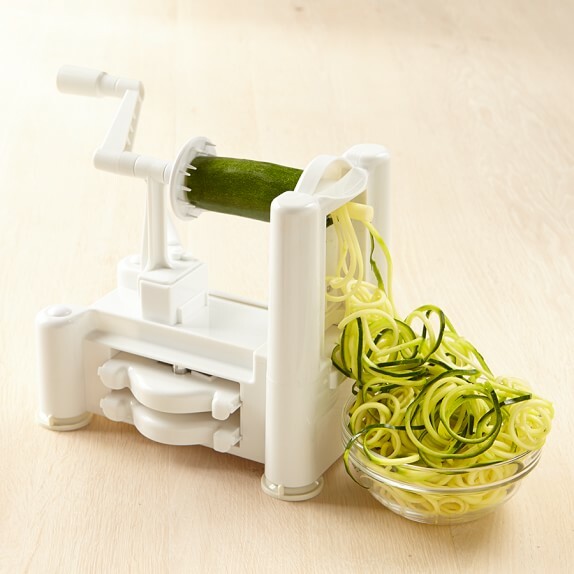 I use my Paderno Spiralizer purchased from Amazon, to make the noodles. 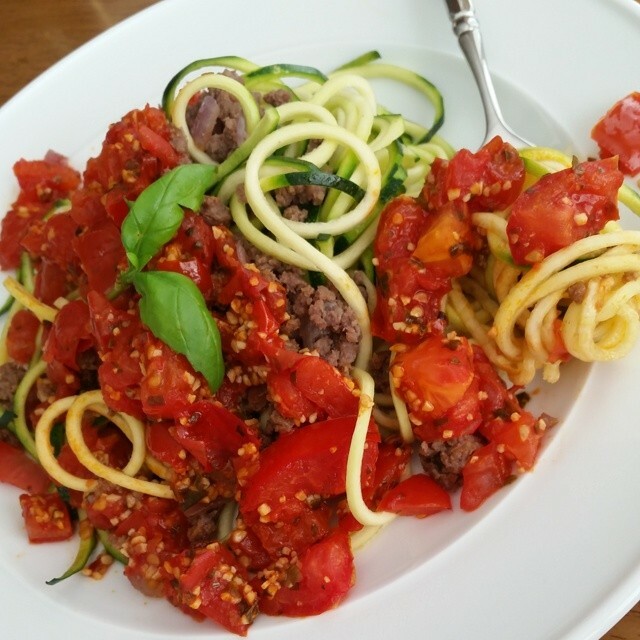 I also toss my zucchini noodles in a frying pan with a dash of olive oil, for several minutes, just to warm. You could add your cooked, drained meat to the tomato sauce during the last several minutes cooking time.